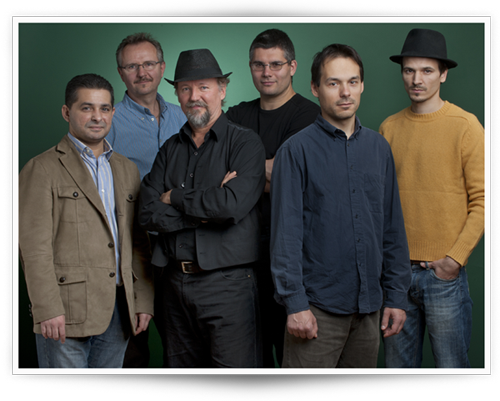 The Balkan Jazz Project is led by the Hungarian saxophonist and multi-reedist Mihály Borbély who is as both talented in folk and world music as in jazz and contemporary genres. Borbély gathered this band of like-minded musicians following joint concerts given by his Quartet B and the Vujicsics ensemble. The two bands are connected by the multi-faceted musician and the concerts of the BJP to date have shown that the collective energies of the Carpathian Basin, the Balkans and jazz can be mixed with huge success. Powerful rhythms, elegantly transparent, lyrical melodies and frenetic dance tunes all combine to great effect. BJP concerts frequently feature the masters of Balkan music (e.g. Theodosii Spassov, Marko Markovic) performing as guest soloists, giving enthusiasts of folk music, jazz and world music a special treat. Their album “Mihály Borbély Balkan Jazz Project feat. Theodosii Spassov Live at Fonó” has been released by the prestigious Hungarian record label, Fonó. 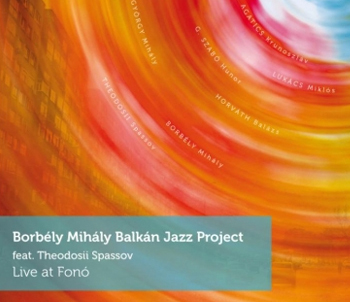 Mihály Borbély studied classical clarinet and jazz saxophone at B. Bartók Conservatory and F. Liszt Music Academy in Budapest and during his career became equally active in various world music, jazz and contemporary music groups. He has participated in countless recordings and has given concerts in Hungary, throughout Europe, in the USA, in Mexico and in Australia, and has performed at large festivals with Hungarian and international musicians in different genres mentioned above. He has worked with Paul Bley, Steve Coleman, Kyle Gregory, Trilok Gurtu, Tony Lakatos, Charles Lloyd, Herbie Mann, Bob Mintzer, Gerard Presencer, ROVA Saxophone Quartet, Saxophone Summit (M. Brecker, D. Liebman, J. Lovano), Arnie Somogyi „Improvokation“, Jiri Stivin among others. He got several prizes and awards such as “Best soloist” – Karlovy Vary Jazz Festival, State prize “For Minorities” (with the Vujicsics ensemble), three eMeRTon prizes, Artisjus Music Foundation Prize, „Jazz Album of the Year“ – M. Borbély Quartet “Meselia Hill” (Gramofon, 2005), Knight’s Cross Order of Merit of the Republic of Hungary, „Alto Saxophonist of the Year“ 2013 JazzMa, Gábor Szabó Jazz Prize, etc. Teaching is an important part of his life and musical philosophy, he is a professor at the Jazz Department of the F. Liszt Music Academy and he has also given lectures and lead courses at various places, e.g. Birmingham Conservatory, DISTIL England/Scotland, Royal Academy of Music, London (GB); Conservatoire de Lyon (F); Hochschule für Music C.M von Weber, Dresden (D); Morelia Conservatory (MEX) and several colleges in the USA.